You also must use UE 0.7.0dev12 or above. Map sizes above 52×39 are unstable and may crashes. 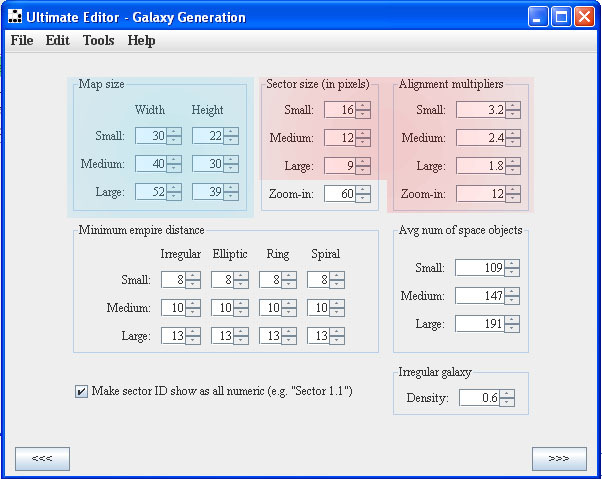 So lets get familiar with new interface for map generation in UE. open the trek.exe you want to edit. Enter your map sizes in blue area. 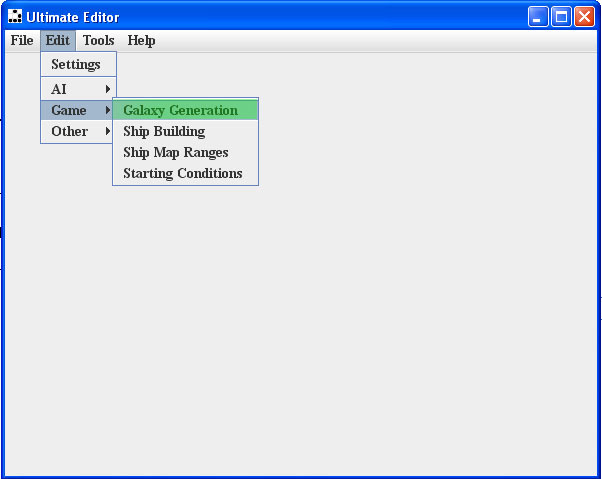 DO NOT edit values in red area these values auto adjust. Using chart above add the values from the line that has the galaxy size you are using to the correct box of the green areas. 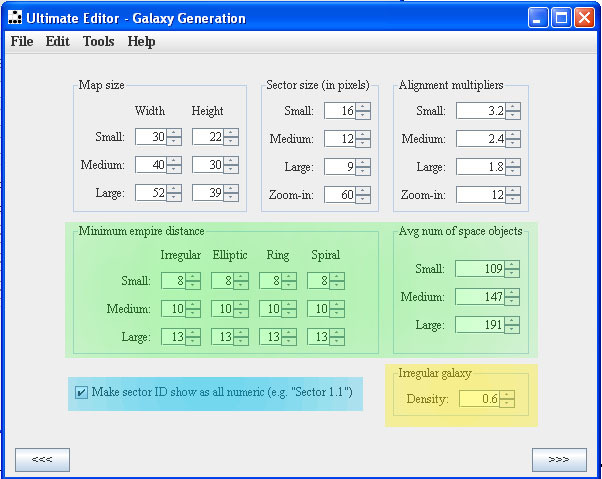 NOTE: on min empire distance area if value is too large this will cause galaxy hang up when generating galaxy. Same as before add values from chart above to green area. The blue area is user defined. Max number of minor races has max of 29 for any value. 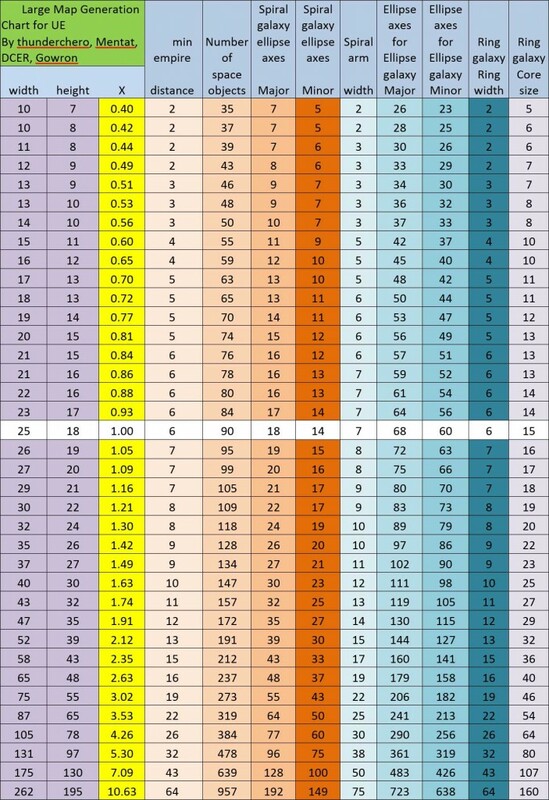 star/anomaly ratio star ratio should be set to max of 1.0. This would give no anomalies. As my personal preference to look of all 3 sizes of spiral galaxy. The setting I used above in image looked the best to me. But as a rule of thumb double all 3 values then test small changes in s,m,l spiral galaxies. and set to your preference. Save trek.exe then reopen trek.exe and double check values. That's it you should now be able to play in a galaxy size of your choice.